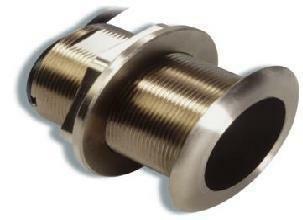 B60 Bronze Thru-Hull 12 Degree Tilted Element Transducer. For A50D, A57D, and A70D. Also fits DSM25 digital sounder module. 200/50 kHz. Depth and temperature.